In my Rock Art travels I see many petroglyph birds. They are different depending on the time and place they were made, but they are all beautiful images. 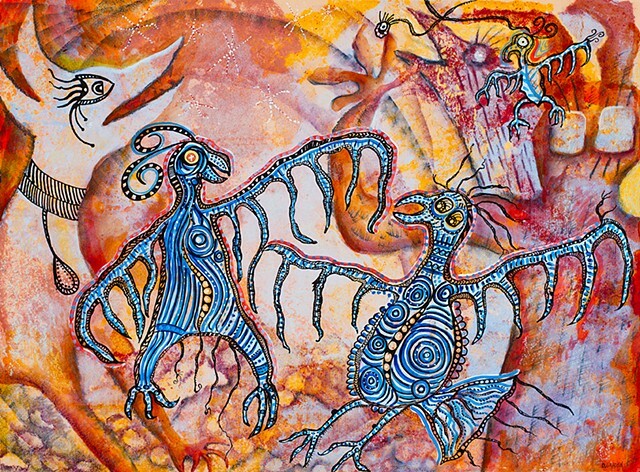 I was inspired by these birds in the Southwest and composed them into a joyful dance !